Silvano 'Jake' Bucci talking with customers. 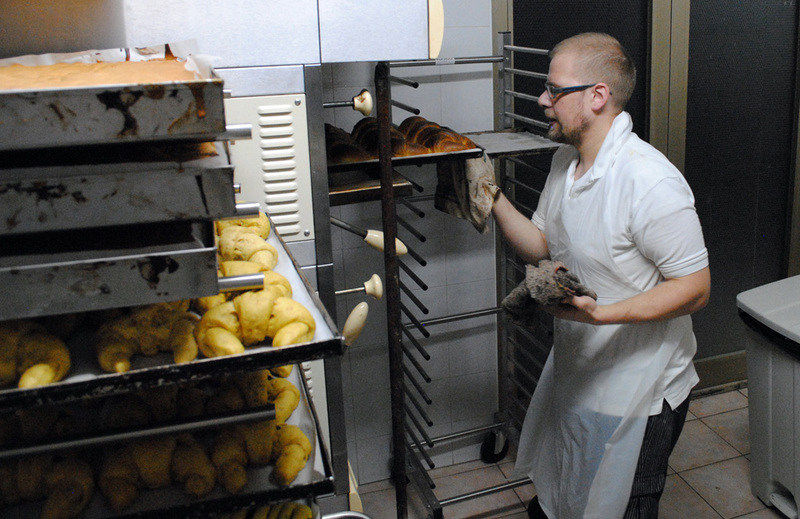 While the city of Cagli sleeps, Matteo Marietti begins his day by the huge oven inside Pasticceria Il Torrione. The front counter is still dark, but a faint glow peeks through the frosted glass above the kitchen door. Matteo has been toiling for several hours, evidenced by the aroma of buttery croissants. They are cooling on a prep table, waiting to be filled with sticky apricot marmalade or vanilla pastry cream. Before the store opens at 5 a.m., the front pastry case will be overflowing with Matteo’s pastries, which are lovingly crafted each morning. 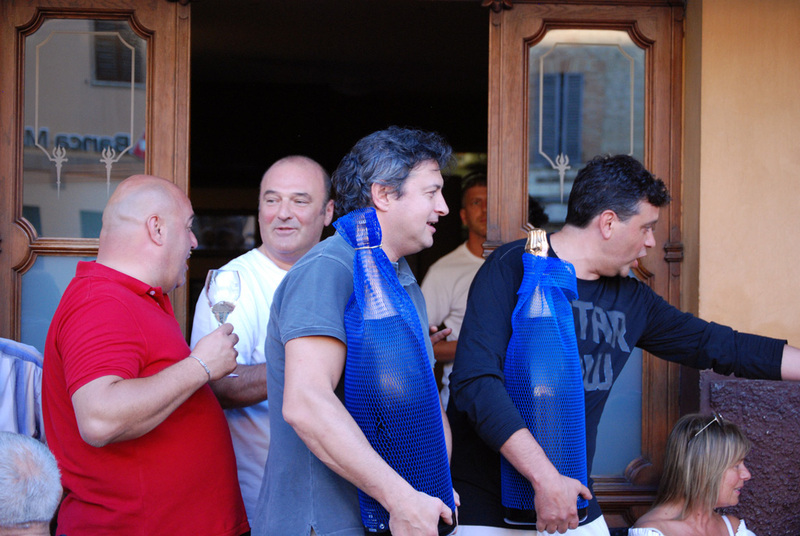 Matteo was born in the nearby town of Fossombrone, le Marche, which is about a 20-minute drive from Cagli. 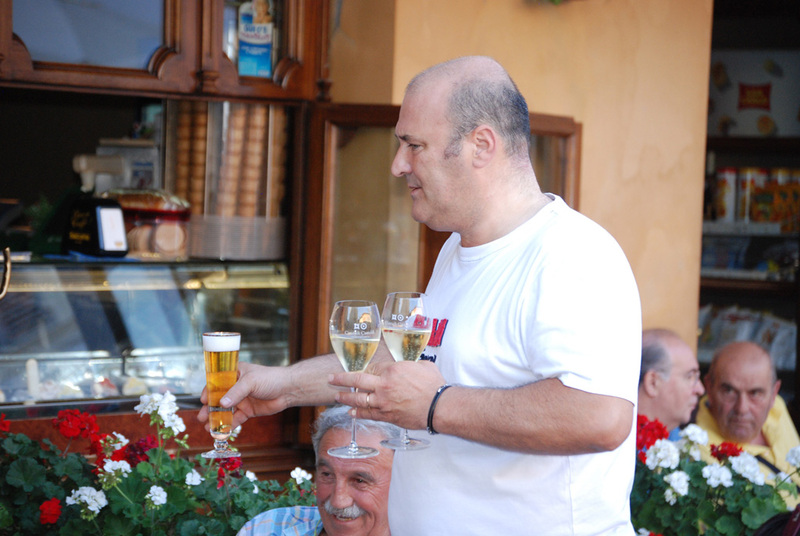 At 15, he enrolled in a five-year culinary program in the coastal town of Pesaro. The program provides a foundation in culinary arts and then allows students to choose a concentration of study; Matteo chose pastries. 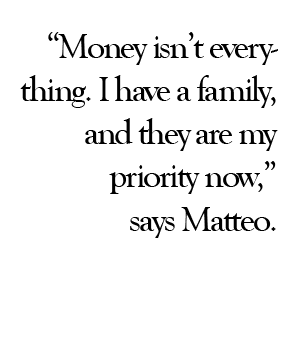 After graduation, he worked as part of a large staff of pastry chefs in Pesaro, a town popular with beach-seeking tourists. He also worked summer seasons in various bakeries across Europe, constantly improving his prowess in a competitive and fast-paced environment. 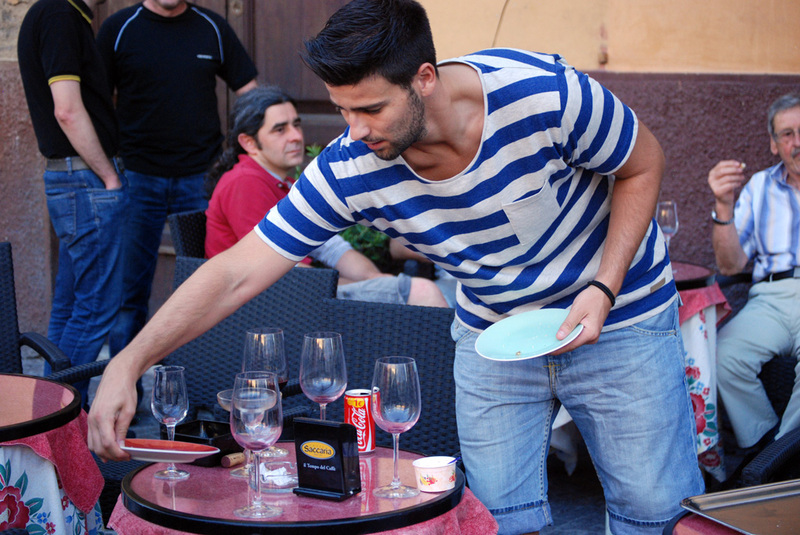 While that work was lucrative, he has traded the traveling and long hours for a more-stationary lifestyle, settling down with his wife and 14-month-old daughter in Fossombrone. “Money isn’t everything. I have a family, and they are my priority now,” says Matteo. 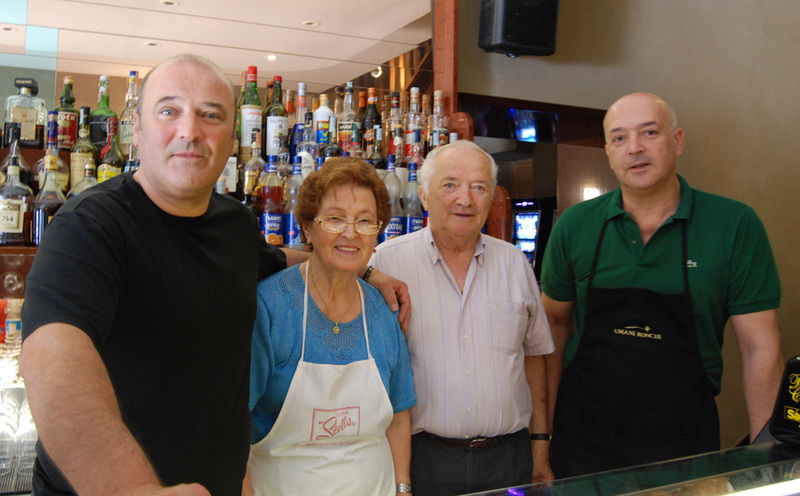 On an average morning, he makes more than 70 sweet pastries, 15 savory pastries, and four kinds of pizza. He says the most-popular item on the menu is the cream-filled beignet, but adds that the house specialty is the sacchettino al cioccolate. This recipe, which Matteo crafted, features chocolate chips encased in flaky dough with delicate slits in the top that expose the molten-chocolate core. After many years of experience in the hospitality industry, he says that he trusts his professional training and palate to help him craft unique, seasonal pastries. In addition to the baked goods on display inside the restaurant, Matteo also makes special orders, working with the client to provide a memorable treat for any occasion. 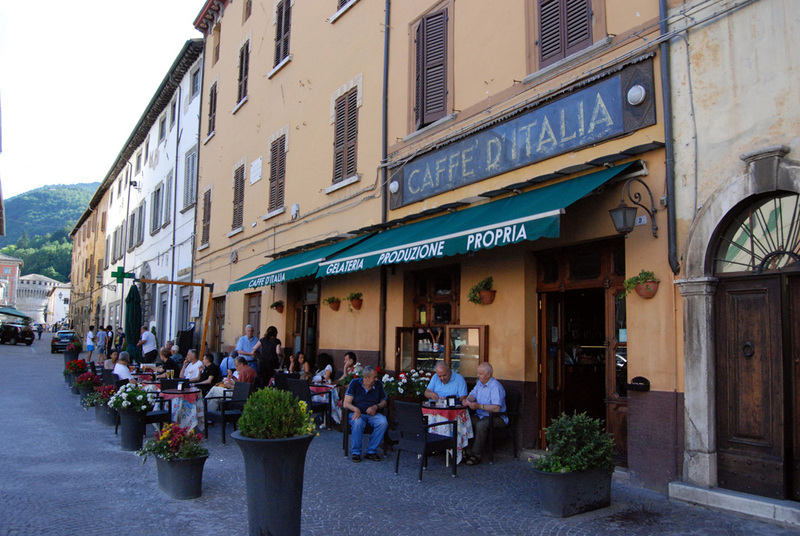 Pasticceria Il Torrione is named in honor of the formidable circular dome dating from the 1500s that still stands as a historical landmark on the perimeter of old Cagli. The bakery has been a local favorite for more than 40 years, but the business suffered when the original baker retired. With no one to fill the position, the owner had to purchased baked goods made off-site. The quality wasn’t as good, so the business declined drastically, Matteo says. Three months ago, the owners hired Matteo, who has made dramatic changes to the menu by featuring pastries made from scratch every morning with no artificial ingredients or preservatives. “My goal was to make a product that I can feel good about giving to my daughter,” he says. 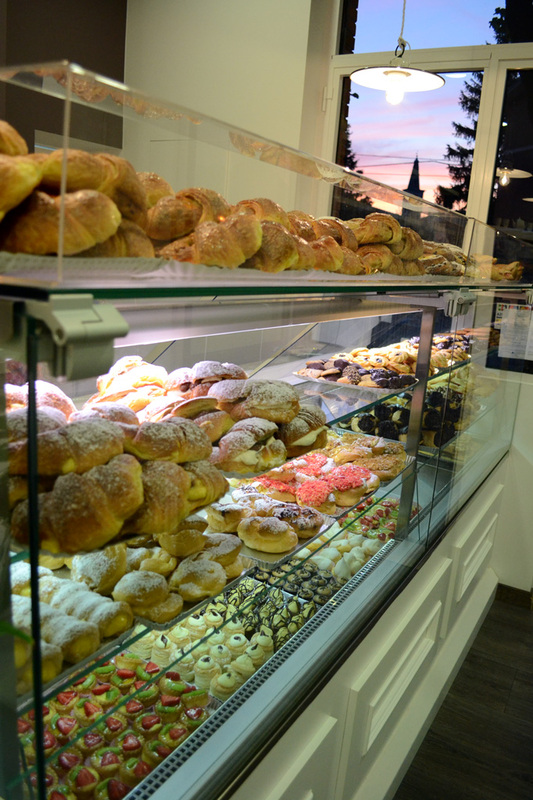 The quality of his work is evident as local Cagliesi trickle into the store before dawn, pointing to pastries still warm out of the oven. By 8 a.m. the entire store is filled with locals catching up on town gossip while enjoying Matteo’s creations. A mother chuckles before wiping a smear of Nutella off her daughter’s plump cheeks. Whether the patrons are young professionals headed to the office or retired gentlemen reading the newspaper, the reaction to the pastries is the same. This bakery will be equally crowded tomorrow. 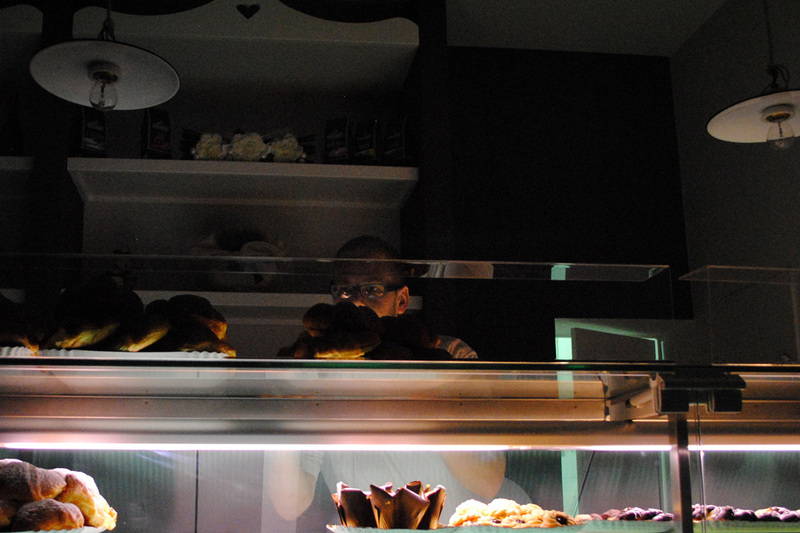 Matteo Marietti, baker at Pasticerria Il Torrione, places fresh baked goods in the display case. 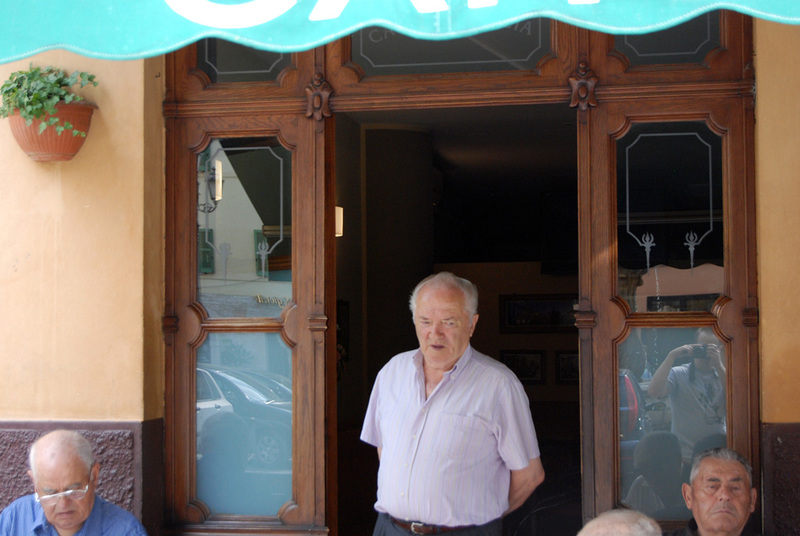 Taken in Cagli, Italy on July 3, 2013 by Katie Price / Gonzaga in Cagli. 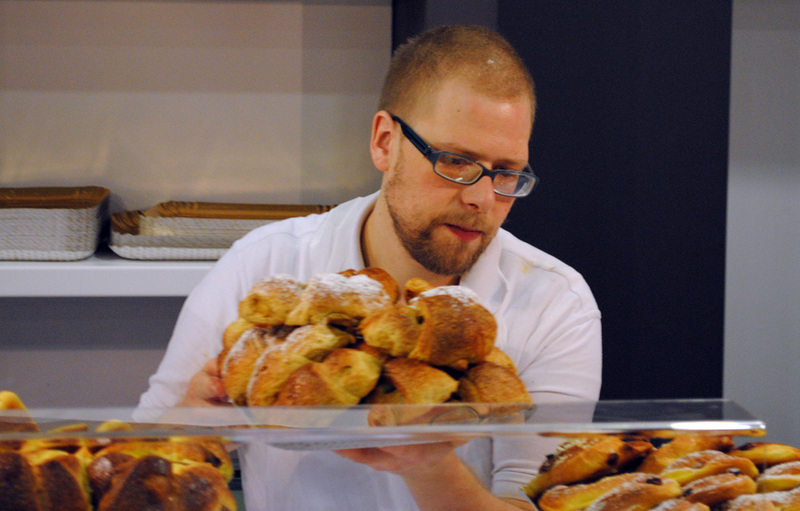 Matteo Marietti, baker at Pasticerria Il Torrione, takes pastries out of the oven. Taken on 5 July, 2013 by Katie Price / Gonzaga in Cagli. 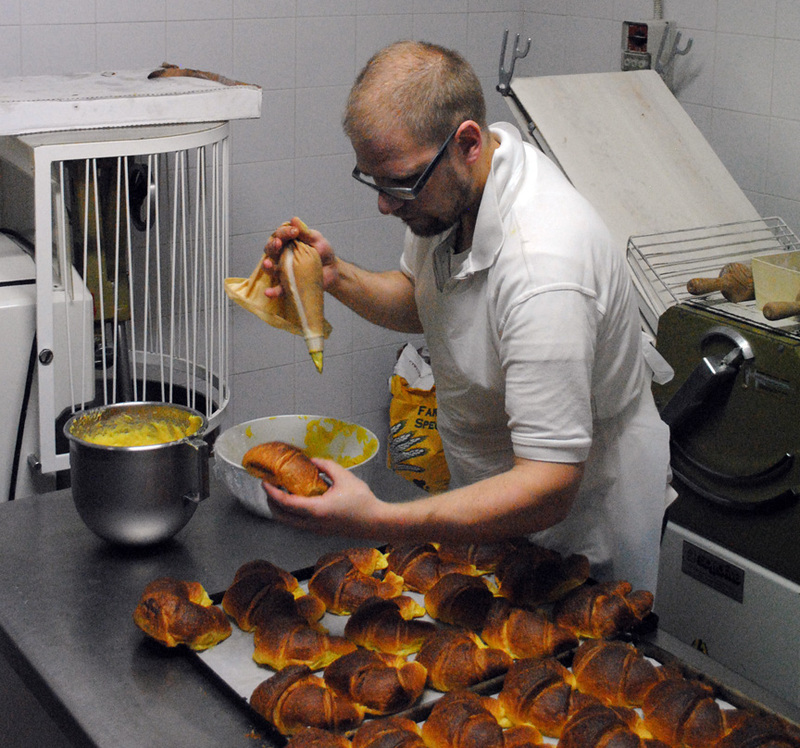 Matteo Marietti, baker at Pasticerria Il Torrione, fills croissants with pastry cream on July 5, 2013. Photo by Katie Price / Gonzaga in Cagli. 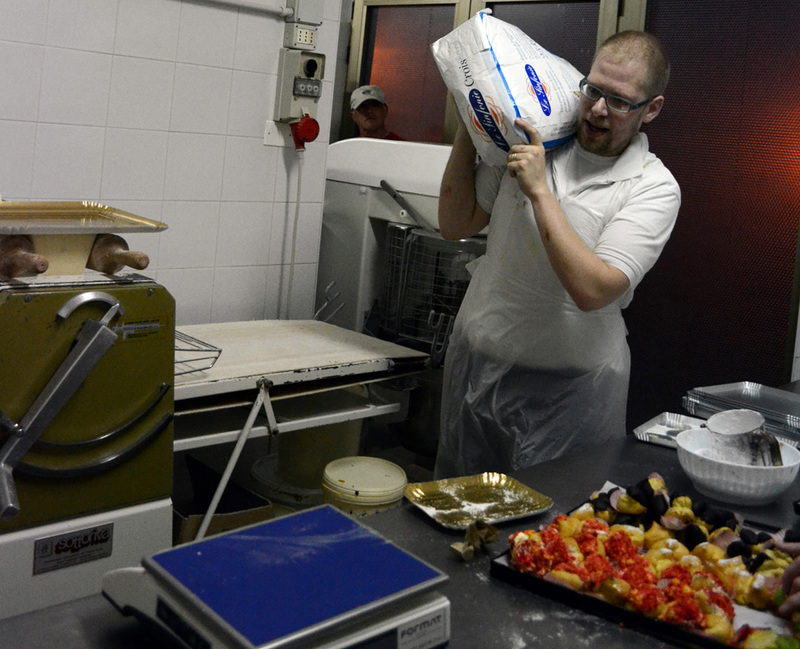 Matteo Marietti, baker at Pasticerria Il Torrione, carries sugar to make pastries on July 5, 2013. Photo taken by Katie Price / Gonzaga in Cagli. Matteo Marietti, baker at Pasticerria Il Torrione, slides pastries into the display case before the store's opening on July 5, 2013. Photo taken by Katie Price / Gonzaga in Cagli.